New Jersey Zoning Laws are a Maze! Let us help you navigate them. Written by New Jersey Zoning Law Attorney Fredrick P. Niemann, Esq. New Jersey State law allows municipalities to dictate building and land use laws within their municipal bounty lines and all property owners must abide by them. When attempting to establish a business, build a commercial building or simply add an addition to one’s property, the owner is required to apply for what is known as a “variance” with the Municipal Planning Board or Zoning Board if the structure or proposed use of the property does not abide by the zoning ordinances of the municipality. Applying for a variance can be a stressful, confusing process to those who are unfamiliar with New Jersey zoning and land use law. Applicants who are simply unaware of how the process works often have their applications denied and are told they cannot build as desired. Many times this occurs not because the property owner is absolutely forbidden from using the structure they want, but merely because they are unfamiliar with local zoning laws and what they need to do in order to obtain a variance prior to building their structure or profitably using their property. Fredrick P. Niemann, Esq. of Hanlon Niemann, PC recently won a significant land use victory before Judge Hurley of the Middlesex County Superior Court wherein the Court reversed the granting of a use variance and site plan approval to the owner and operator of a significant commercial business adjacent to Mr. Niemann’s residential client. It is expected that the land owner will appeal Judge Hurley’s decision to the Appellate Division of the Superior Court. Mr. Niemann wishes to acknowledge the excellent assistance of Senior Associate Bonnie Wright, Esq., and associate, Matthew Rasmussen. In New Jersey there are two main types of variances. A “C” variance relates to problems with the shape and dimension of the property that makes it non-conforming with current zoning laws. A “C” Variance is often called a setback variance which when granted allows a property owner to build a house or structure closer to the property boundary line than the municipal ordinance allows. A “D” variance (often called a use variance) is different. It relates mainly to permissible uses of property. An example of a use variance is when someone wants to place an office building in a section of town which is zoned strictly for residential use. In deciding a variance application, a zoning board must apply specific legal criteria to each case depending upon which variance an applicant is applying for. An applicant must produce evidence known as “positive criteria” and “negative criteria”. Each criteria is intended to show the board that the variance meets the specific requirements of New Jersey law justifying the granting of a variance. A variance will not be granted by a board unless the applicant is able to demonstrate that the specific criteria applies to their property. Many times, property owners are unprepared when applying for a variance and have their application denied. As the one applying for the variance, the burden of proof is on you to prove that the legal criteria exists to support your application. Therefore, it is important that you know the law on zoning and what Municipal Boards are looking for. Fredrick P. Niemann and the attorneys at Hanlon Niemann have appeared before countless planning boards and zoning boards throughout New Jersey to present applications for their clients. They have extensive knowledge of the New Jersey Municipal Land Use Law and the legal criteria that must be satisfied, to obtain a successful variance. 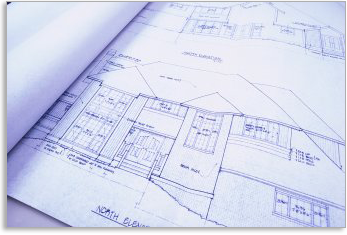 An experienced attorney can be the difference between obtaining the variance you need to legally build on your property or losing out on your application over technicalities because you were unfamiliar with New Jersey’s complex zoning and land use laws. He will be able to walk you through the process in a clear and understandable way.